One Less Headache: Fabulous Freebies: Martin Luther King Jr. Since it is the celebration of Martin Luther King Jr.'s birthday tomorrow, I thought I would share some related freebies. I have done lessons many times related to Martin Luther King Jr. and they have always had a good response since students have a lot of prior knowledge about him that they can use in the lesson. Read With Me - For older students in middle or high school this is a good lesson that incorporates cooperative learning and discussions. Students read a letter written by Martin Luther King Jr. and discuss it in a group (using the provided discussion questions) and create something based on their discussion. Students are invited to share their findings with the Philadelphia Art Sanctuary. 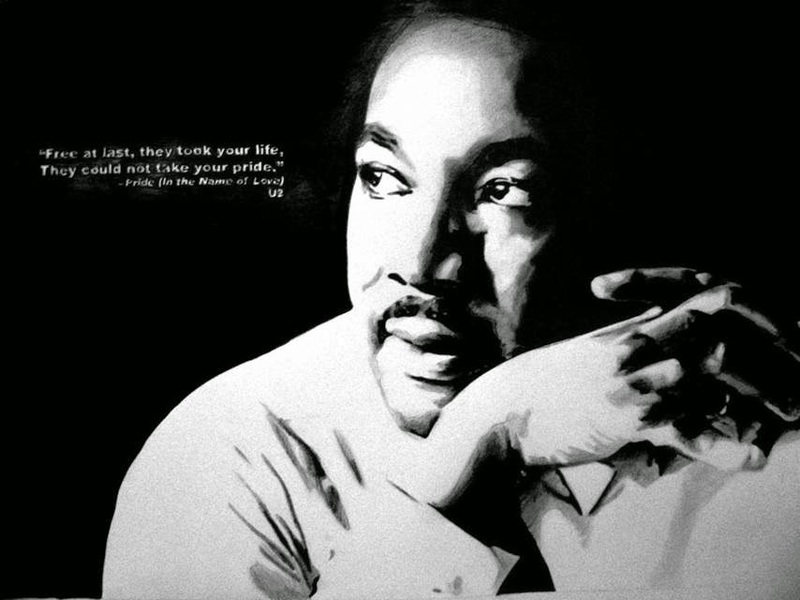 The Holiday Zone Arts & Crafts - I liked the selection of ideas on this site for Martin Luther King themed art projects. There are more open ended ideas such as a black and white collage and more specific projects such as creating a timeline. There aren't materials to help but the ideas are self explanatory and work great for a variety of ages. Write an I Have a Dream Speech - Education.com goes through step by step ways you can help your students write their own "I Have a Dream" speech. The step by step process described is a great way to help your students think more deeply about the content of their writing. MLK Science Ideas for All Grades - I started browsing through these ideas to see what I thought and I enjoyed many of them so instead of just posting one I am posting the whole site so you can check it out and find the appropriate lesson for your age group. There are lots of scientific lessons here that have supplemental materials such as videos and websites that you can use in your lesson plan. The ideas are creative since I often see the egg yolk/egg white idea but these were all new to me! If you have a free MLK related lesson, share it with us below. I would love to check it out!